Some people are using the option on LinkedIn to create a résumé directly from the information contained in their profile. This is not a great idea, because LinkedIn includes more information than you likely need on your résumé. Also, a résumé and profile serve different functions.You may have heard that employers compare résumés and LinkedIn profiles, and you are probably wondering why and what they are looking for. While employers want to check that both documents tell the same story about you as a professional, they want to see more in your LinkedIn profile about your experience and skills. LinkedIn offers many opportunities to expand on your résumé that you should be taking advantage of. Here are some questions to ask yourself to ensure you're using both mediums appropriately in the eyes of an employer. Is my basic information the same? It may sound obvious, but make sure to double check basic data. Is your contact information correct? Are your company names spelled right? Are the dates of employment accurate? Mismatching employment dates could signal that you're hiding something or simply not paying of attention to detail. Do I have a photo or image? 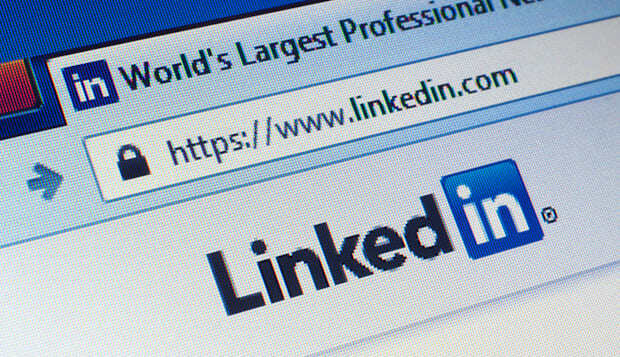 While employers in the U.S. and in some other countries do not expect or want to see a photo on your résumé, employers do want to see you on LinkedIn. According to Brie Reynolds, director of online content for FlexJobs, when a candidate doesn't have a LinkedIn profile picture, the generic gray stock image cartoon can be off-putting to employers. Even if you don't want to share your actual photograph, try to include a professionally appropriate image that represents you. Do I have a summary? In addition to a standout headline, the summary is a key element of a LinkedIn profile. It's your opportunity to write a personal bio and show some personality, which is not an option in a résumé. Reynolds says this is where you have the most leverage to describe yourself in any way you see fit. Use this section to highlight your most important skills and experience and talk about the problems you help solve for your employers. Have I received any recommendations? Résumés do not contain references or recommendations, but LinkedIn allows them. This is a function you should absolutely be using. The employer gets a reference before even meeting you – what could be better than that? If you can get several recommendations from former or current colleagues, you are doing yourself a huge favor. Offering to provide a recommendation for another person may inspire them to return the favor. Am I marketing my expertise as much as I could? "The publisher option on LinkedIn is a really easy way to create a professional blog where you can expand on your expertise and opinions related to your career field," Reynolds says. "This will help give life to the experience listed on your résumé." You don't have to be a published author or communications guru to use this feature, which is why it's so great. You can write small articles about projects you've worked on, a noteworthy development in your industry or the latest thing you've learned related to your career. This adds depth to your résumé and positions you as an expert in your field. Also, be sure you're using all the fields that apply to you. Hobbies and interests provide an extra glimpse of your personality, as does volunteer work and causes you care about. If you have a reason to include projects you're working on or publications you've written, these can and should go on your LinkedIn profile. A well-constructed LinkedIn presence shows employers that you are somewhat Internet savvy and connected to other professionals. Even if those particular things are not relevant to the jobs you seek, they are significant to most human resource professionals. They expect that most everyone, except those whose jobs prohibit it, is on LinkedIn today. If you don't take into consideration what an employer wants to see on LinkedIn versus your résumé, you may be missing out on job opportunities.